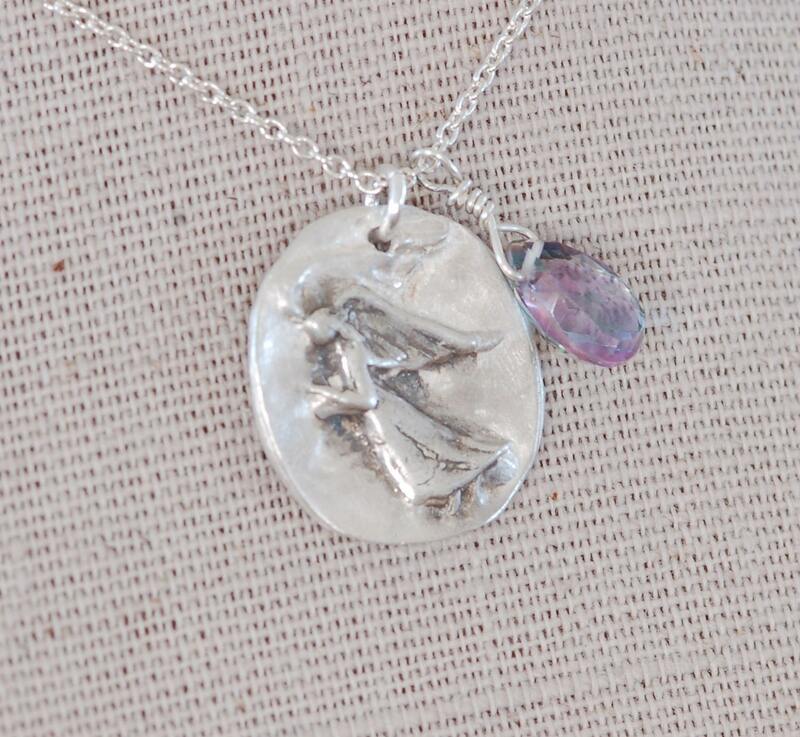 Fine silver necklace for an angel in your life. 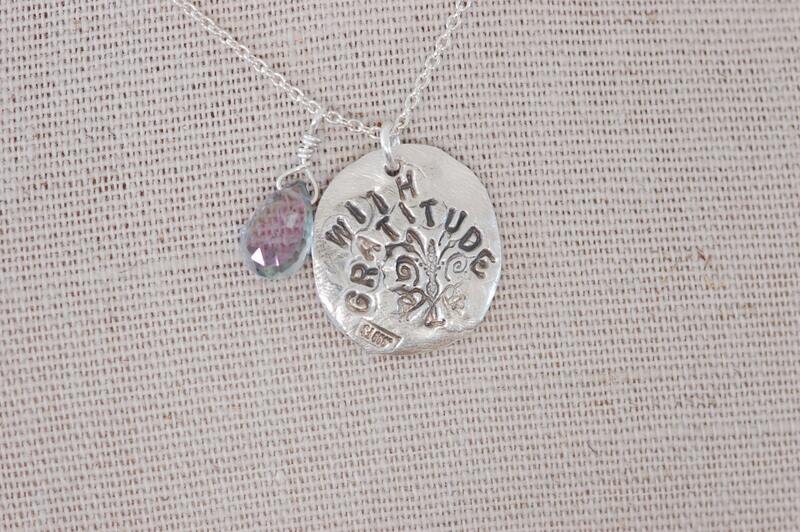 Great gift for a teacher or that special someone who is always "there" for you. 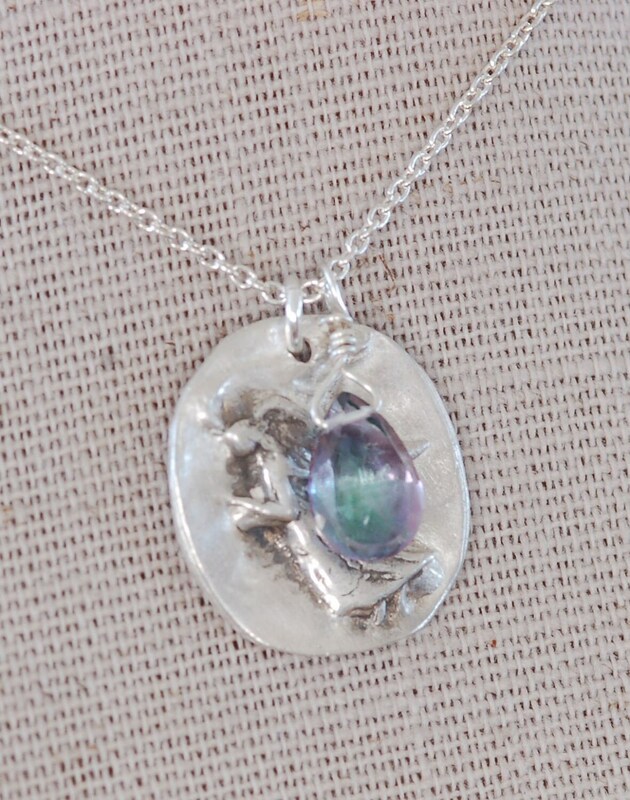 A mystic topaz is added as an complimentary accent. This necklace has a rustic, hand made feel to it. Adjustable lobster clasp, on sterling silver chain with extender 17 to 18 inches long. Charm is 20 x 22 mm. Please request name to be added or different message on back.